There are many similarities between Point of Purchase (P.O.P. ), sometimes called Point of Sale (P.O.S.) retail focused selling and trade show sales. In both cases, the mentality of your visitors is goal oriented, often arriving with items they want to buy or at least browse in person to help narrow down their options. The fact is that this focus is important to your bottom line and contributes quite a bit to overall sales. Some studies show a boost in sales of as much as 2,000%. Check out some of the new products with a Point of Purchase focus in mind. Ensuring your brand has success in the retail point of purchase market requires getting your message in front of the right people, with maximum exposure. An excellent, cost effective way to be mindful of increasing exposure is to use advertising that can be seen from many angles of approach so your message is not missed. 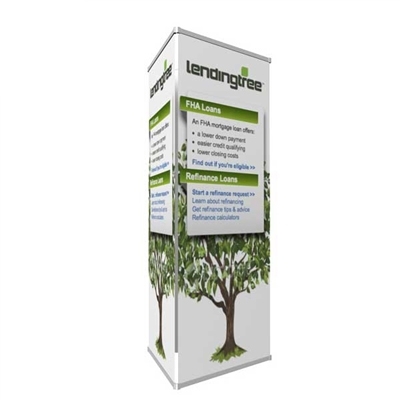 Check out the 3-sided “Tri-Tower” 360 Banner Stand with its signature linked banner rail that easily clips onto the graphic. This is wonderful since it allows you to use one hardware frame with pivoting connector joints that attach the 3 banner graphics into one frame. Now your great offers can be seen by all sides someone is going to walk passed so you have more chances to make them aware and convert a sale. Next up, we have a banner stand solution that is available single or double sided so you can decide which graphics are needed depending on where the stand will be set up for maximum exposure. 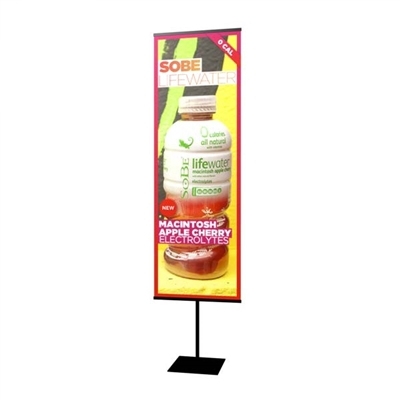 The Everyday use Banner Stand works great for many functions and everyday use. This banner stand is popular thanks to its easy snap rail that grasps the banner stand graphic for easy messaging updates in seconds. 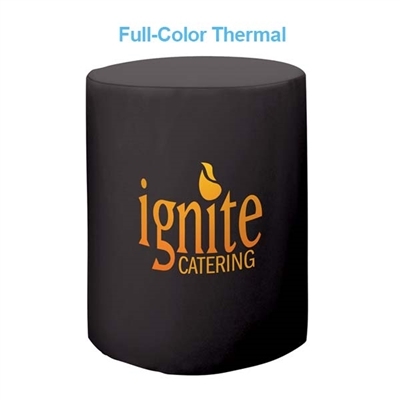 The banner stand is available in your choice of a 24″ and 30″ banner options. The height is also adjustable thanks to a telescoping pole. Lastly we have introduced a flat wall standalone kiosk with excellent engagement potential. Since static displays are more and more becoming neutral white noise to the consumer, a solution like this can give the boost your POP marketing needs. The 35″ Vector Frame Monitor Kiosk combines the modern, professional style of the Vector frame’s popular Silicone Edge Graphic (SEG) for a sleek frame-less appearance using tension fabric graphics. 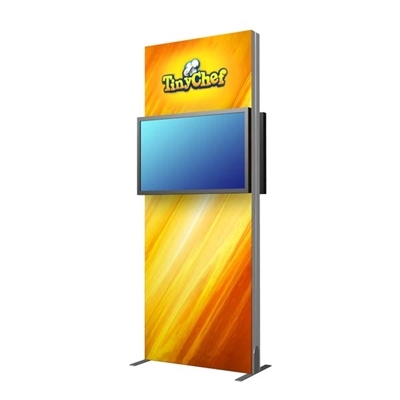 The monitor and graphics are available in your choice of single or double sided so you can turn this display into a truly independent visitor information booth to offer exciting new ways for your brand to engage directly with your buyers. We all know what a banner stand or kiosk looks like, and despite our best efforts and clever messaging with flashy graphics, there is still a chance these traditional billboards will sink into the background. The more unique the more chance you have to get noticed – so we recommend something like the 1ft x 1ft Cube Display. This solution allows you to get your message out there in a way that prompts a second look. The greatest appeal of the Cubes is that they work well as standalone solutions, but best in a series. You can combine multiple cubes together in a tower style stack, L-shape or larger cube. 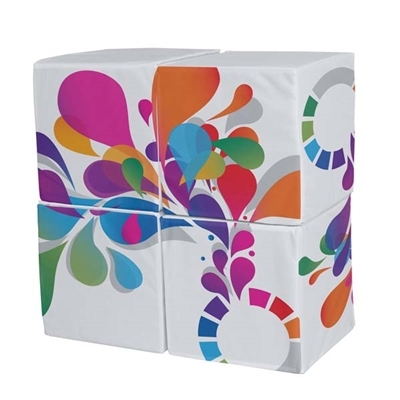 Each cube can feature its own branded graphic or be printed to create a larger image as you combine the cubes into one. 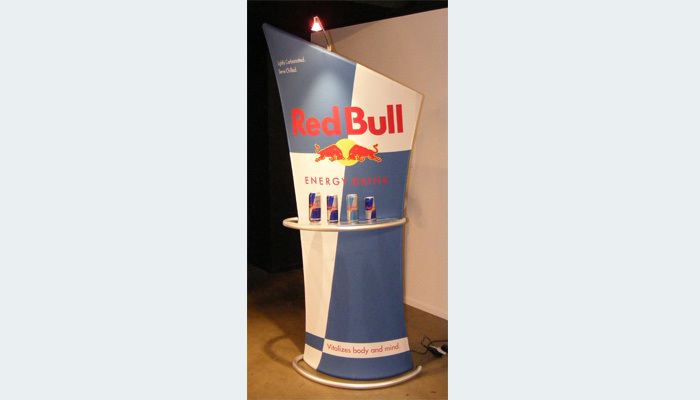 Backlit displays like the 33″ Eclipse Tower offer a cool, streamline shape with large surface area for your product offers. This kit includes the tower, semi-transparent graphics and lighting to create the eye-catching luminous effect. The backlit appearance benefits both sides with double graphics included in the kit. The frame is available in silver or black aluminum and comes with a hard OCP case to protect your investment. We hope you’ve enjoyed this in-depth look at the latest point of purchase displays that are available on the our store and how they can be used to give your company an advantage on convention day. 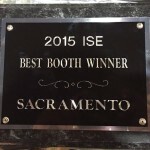 Have questions on which accessories will help create the most engagement in your booth space? The ExhibitDEAL team can be reached at Sales@ExhibitDeal.com or call (866) 577-DEAL, we’d love to put our experience to work for you.